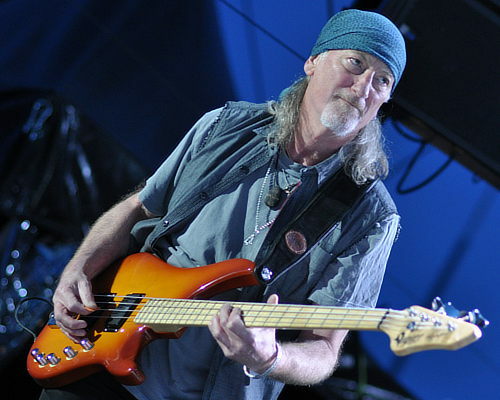 Roger Glover’s production work will be honoured during Soundedit’15 — the 7th International Festival of Music Producers and Sound Designers, to be held in Łódź, Poland, this October. He will receive The Man with a Golden Ear award for “entirety of achievements in a domain of music production”. He will share the honours with Sir Bob Geldof and Polish musician Wojciech Waglewski. The awards ceremony will be held on Saturday, October 24, during the final festival gala at Klub Wytwórnia in Łódź. This event will be open to the general public and tickets are on sale. The show starts at 7pm, with awards scheduled between 8:30 and 9pm. Posted by Nick Soveiko on Tuesday, July 7th, 2015, filed under News. You can follow comment on this post through the RSS 2.0 feed. You can skip to the end and leave a comment. Pinging is currently not allowed. Never imagined them to go this far after the numerous lineup changes . Now what !? Bien merecido lo tiene , geniooo !! Great to hear Roger is being acknowledged for his outstanding work in this field! Maybe someone out there can enlighten me what “Sir” Geldof have done to achieve this production award? I know Roger deserves it, but Geldof? Nice to see the acknowledge to his Work. Congratulations Roger!! Congrats Rodger ! Will be seeing you Nashville!